Remember the brand name is also a promise about the library’s services to the community. Because of this that promise can never be broken. It must be shown through not only the brand image, the logo, the advertising, but also through the person-to-person interactions with the public while they are in the library. Any action that takes place in the library where a customer interacts with a librarian is an example of the pledge to maintain the promise of the library services. This means that every librarian on duty at all times must fully understand what the brand image that the library is attempting to project is and work every time with every customer to continue telling the story of the brand to the customer. By understanding that the staff has the ability to make or break the brand (as shown with the Abercrombie example earlier) they can make better decisions about their interactions with the patrons. Once the brand has been established and the plan is put into effect the job becomes one of continuously measuring the brand’s equity against that of the competitions and against itself. This measurement can be done through a number of ways. It can be accomplished through a variety of market research methods such as conducting market surveys, studying the sustainability of the library brand, and conducting focus group research to get an idea about the public’s perception of the library in their community. If it is found that the results of the measures are not the same as the library would like then the process becomes one of measuring the weakest areas for possible improvements and making adjustments in order to make those improvements. This is an ongoing and continuous process for the maintenance of the brand’s image and should not stop once the measures produce the desired results. If the desired results are found then the measurements must continue so that any noticeable slippage in the opinions of the public can be acted upon immediately to re-improve the brand’s image. 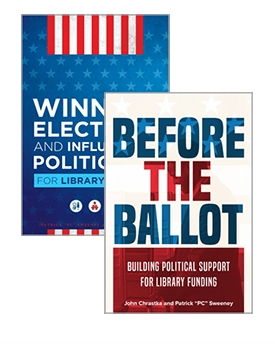 With a well-branded image of libraries the public can be given a sense of the importance of the library within their community. This kind of definition of image can lead to a number of benefits for the library including an increase of circulation and use as well as the potential for a renewed interest in the services of the library within the community. 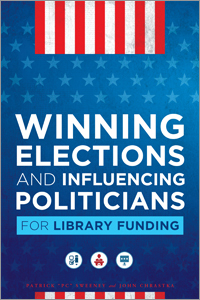 This in turn can lead to improved voting records for the library and eventually the potential for improved funding. People. New York: Allworth Press. Previous PostBranding Libraries: Step 8 – Advertise the image #libraryNext PostDoes Library circulation = library sales? What do you think?